We look forward to your contributions and want to help you get off to a good strong start. 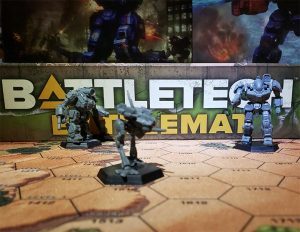 Hopefully you will soon join the army of BattleTech Editors! If you need help formatting the pages, visit the manual of style. For general questions go to the Help section or the FAQ. If you can't find your answer there, please ask an Admin. For policies and guidelines, see The Five Pillars of BattleTechWiki and the BTW Policies. Another good place to check out is our market of Projects, to see how the smaller communities within BTW do things in their particular niche areas. Each and every page (articles, policies, projects, images, etc.) has its very own discussion/talk page, found on the tab line at the top of the page. This is a great place to find out what the community is discussing along that subject and what previous issues have already been solved. If you want to play around with your new wiki skills, the Sandbox is for you. Don't worry: you won't break anything. A great resource for printing out is the Wiki Cheat Sheet. Also consider writing something about yourself on your UserPage (marked as "Volt" at the top of the page, though only do this if you're registered). You'll go from being a 'redshirt' to a 'blueshirt,' with the respect of a more permanent member. This is really helpful for the admins as we will know you're a human rather than a spambot and we won't block and delete you accidentally. If you're not registered, then please consider doing so. At the very least, you'll have a UserPage that you own, rather than sharing one with the community. Introduce yourself at the new user log. In your Preferences, under the edit tab, consider checking Add pages I create to my watchlist and Add pages I edit to my watchlist, so that you can see how your efforts have affected the community. Check back on following visits by clicking on watchlist. If you're bored and want to find something to do, try the Random button in the sidebar, or check out the List of Wanted Pages. Or even go to Special Pages to see what weird stuff is actually tracked by this wiki. Please sign your name on talk pages using four tildes (~~~~); this will automatically produce your name (or IP address, if you are editing anonymously) and the date. 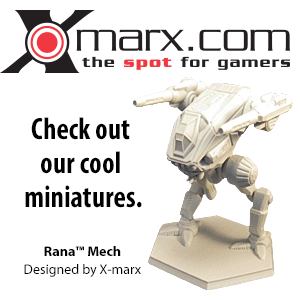 Again, welcome to Sarna's BattleTechWiki! This page was last edited on 17 August 2018, at 22:30.